Aerospace takes off in Baldwin County. The aerospace industry has long been a lynchpin of the Baldwin County business community, as companies like Segers Aero Corporation and UTC Aerospace Systems have called Baldwin County home for many years. The Mobile-Baldwin region continues to strengthen its connection to the aerospace industry with companies, such as Airbus, locating in the region, while existing companies continue to expand their presence in Baldwin County, such as UTC Aerospace Systems, who recently announced the addition of 260 new jobs. With an abundance of accommodating facilities, capable personnel and nationally recognized training programs, aerospace and aviation companies that land in Baldwin County truly see their businesses take off. Training opportunities in aerospace and aviation are now available at The Academy at the Fairhope Airport. This $2.5 million facility is a partnership between Faulkner State Community College, Enterprise State, the Fairhope Airport Authority, and the Baldwin County Board of Education that will open the door for preparatory and college students to pursue aerospace and aviation careers. Adult and high school courses are offered in A&P mechanics, welding, and industrial maintenance at the Academy to prepare students for careers in the industry. 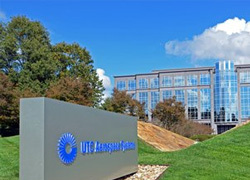 United Technologies Aerospace Systems (UTAS), located in Foley, Alabama, is a division of United Technologies Corporation’s diverse industrial portfolio. The company is one of the largest worldwide suppliers of aerospace and defense products, and their Foley facilities focus on aerostructure assembly and MRO services for large customers, like Airbus and Boeing. With over 800 employees, UTAS is Baldwin County’s largest industrial employer and one of the larger aerospace companies in the southeast region. The company will continue to grow its Foley facility, in the coming years, with their recent announcement of 260 new jobs and a facility expansion at the Foley location.